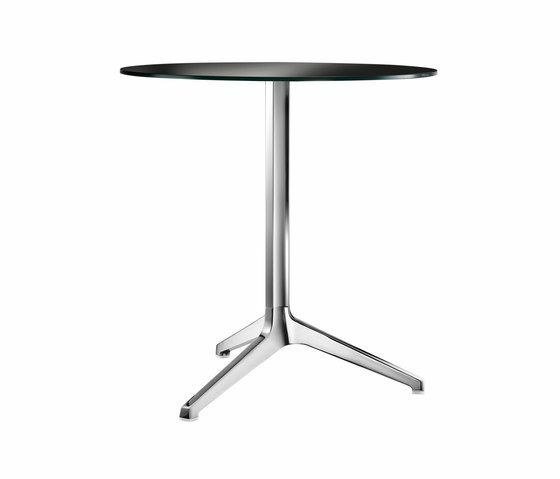 Table Ypsilon, cast aluminium base and extruded aluminium column. Finishes: anodized aluminium, polished aluminium or silver powder coated. Transparent pvc glides. Top plate for glass or suitable for laminate, compact or stainless steel top, fixed or folding top.